John Palmer is one of the biggest names and authorities when it comes to all things brewing. 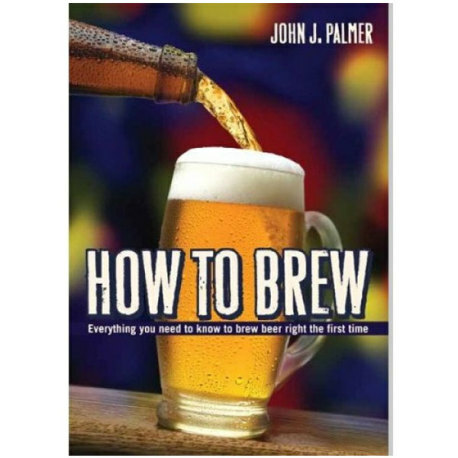 His book "How to Brew" is 400 pages of great information for not only the beginning brewer but also contains great information on advanced topics. It is sure to be a book you'll keep around your brewery for years to come. Its a great reference book for all us here at Great Fermentations, and one we definitely recommend to all those getting into the hobby. I routinely call this the Bible of home brewing, and for good reason. John Palmer is a man who knows both the basics and the deep science of brewing, and brings his lessons directly to all aspiring brewers. He starts out simple, with a crash course in brewing, but soon branches out into all sorts of ingredients and techniques, and his explanation of all-grain brewing later in the book is second to none. I've been brewing for about 8 years now and still use "How to Brew" as a reference regularly.